I am a fairly new felter but love the medium. I enjoy taking classes and learning new techniques. I am a retired banker and appreciate having time to work on my projects. 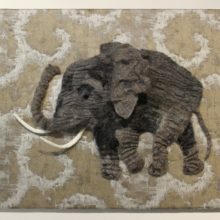 My profile is an elephant that I felted, which was even accepted in a small juried show!